Last week, a man called Andy Rubin had the entire consumer technology industry in the palm of his hand. This is because he is the creator of a piece of software now on more than two billion monthly active devices – the mobile operating system Android – and was launching a new company that was to try and make a name for itself in a product category that many consider to be sewn up by a handful of domineering powers: the mobile phone. And yet the announcement represents so much more than yet another mobile phone. 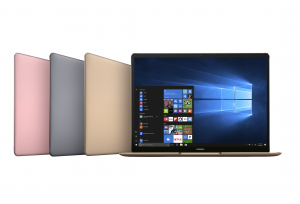 Most of the headlines and attention will be grabbed by the minimal bezels (a design also employed by the recently launched HUAWEI MateBook X that left the world, and our office, wanting) – the touch screen reaches the very top of the display – and understandably so. The Independent quite rightly exclaimed that the phone “can instantly be described as one of the best-looking mobiles on the market”. When taking key specifications in mind, though – such as the processor, RAM, storage and cameras – the phone is on a par with what’s already on the market. 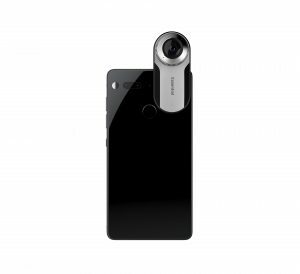 One differentiator is that accessories – including the “world’s smallest” 360-degree camera revealed at launch – can be “snapped on” thanks to a nifty magnetic connector on the back of the device. This modular approach has been tried before – most notably with the LG G5 – but only to a degree of success. 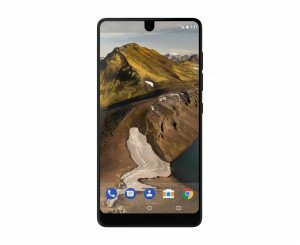 Essential’s effort does proudly boast of wireless data transfer capabilities which will considerably lessen the user experience friction, but it is to be seen if the accessories offer enough in the way of value add to convince users they are worth the metaphorically heavy burden of carrying them around. 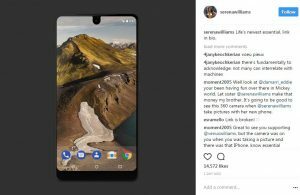 Given the ever-increasing rate at which flagship phones are being released seemingly not caring for or acknowledging the ever-increasing price points (the Essential Phone comes in at a hefty $699), modular devices do appear to be a viable next step for the product category. It could be asked, though, if the constantly improving specifications of devices that come as standard are nullifying the idea. The product will also receive considerable attention as it is not from an Apple, Samsung or Huawei of this world. Several publications have already billed the Phone as the “Anti-iPhone”. But such is the dominance of these three tech powerhouses, this attention – for now at least – will mostly come from tech enthusiasts, only making the company’s brand strategy more curious. “Just because we played a part in making your phone doesn’t mean you should be forced to advertise that fact to everyone,” so the company’s website professes. There is no logo to be seen on the Phone. Though this offers nice sentiment in a world that is so aware of the prolificacy of “brand,” it is up for debate as to whether this is a powerful enough message to break through the noise. The brand will secure an element of “mystery cool” (similar to that achieved by OnePlus with their invite system) and there will inevitably be chatter along the lines of “Have you seen that phone that isn’t Apple, Samsung or Huawei?”. It could be argued that it is during these initial launch stages that a visible, accessible brand name and identity is most needed. As an aside, getting celebrities – such as the probably very expensive Serena Williams – to advertise the brand does slightly jar with this messaging but it is probably the way Essential will have to go should they have aspirations to climb outside of the consumer technology forums and into the pockets of the wider world. It is, though, the significance of the creation and ambitions of the company that far outweighs any procured from the product innovation on show. It suggests that Rubin – who will invariably know a thing or two about where the consumer technology space is headed, and has the monetary firepower to help his new company edge towards being its frontrunner – believes there is space for “just one more” tech hardware manufacturer, and progress to be had within what many consider to be an already over-saturated market. The surprise runaway success of Amazon – whose previous Fire Phone was a commercial and critical failure – and its Echo range in the smart speaker arena indicates that the industry doesn’t have to be a boring and predictable one of monopolies and duopolies. The rise and rise of Chinese brands offering competitively priced, high quality products is shaking what many perceive to be a status quo; research firm Gartner recently reported that Huawei are fast catching Samsung, with Oppo and Vivo not too far behind. The high regard in which OnePlus – a company that only released their first product three years ago – is held is testament that new kids on the block can and do have the power to shake things up. All this suggests that Rubin just might be onto something. In any case, even if the Essential world and ecosystem isn’t embraced to the extent Rubin hopes it will be – he also introduced Essential Home, a smart home assistant, and corresponding operating system, Ambient OS – the consumer tech space and even wider world should still benefit enormously. A world of monopolies and duopolies is a boring one. Competition breeds innovation.